The Freiburg region is the warmest in Germany! In the neighborhood was shot much about the famous Black Forest Clinic! (Hüsli, the private house of Prof. Brinkmann Series is about 10 minutes away. Right next to it is also the famous "Rothaus" brewery, which offers guided tours and good management. Shower, bath, 4 double beds, 2 bunk beds for children, means max. 8 adults and 2 children. find easy place. Small table with sofas in the rear area ..
Large corner balcony, upstairs small balcony, parking for 3 cars !! directly at home. On the left is the first large family bedroom with a double bed and 2 bunk beds. Behind one finds Cellar / Pantry / Heztungsraum with extra door to the garden. Front of the main entrance is the large bathroom with 2 sinks, bath, shower, toilet. Living room with large dining table and kitchen / access to large balcony. On the left is a small bedroom with a double bed and a small balcony. You will also find a little one! Bathroom with toilet. Second TV !!!! So 2 TVs in total in the house. Extra wooden cot and travel cot available. There are large bathroom and a small! Bad. safe way for kids and dogs! House must be cleaned. Cleanliness is important to us. Alternatively, we take over the cleaning for 100 euros. In addition, each guest must pay cone / guest / tourist tax. 0,90 Euro night. Total amount must be transferred to me. For this you get guest cards, which u. a. With the request for understanding. Steffan and his mum were very welcoming, and thoughtful. They had prepared a lovely platter of food for us and breakfast for Sunday morning. The house I could not fault in any way, absolutely lovely warm and clean. Thanks for being my guests!! We were warmly welcomed by the hosts of this property. Our children, aged 2 and 4 years old, especially liked the garden and the surrounding fields. 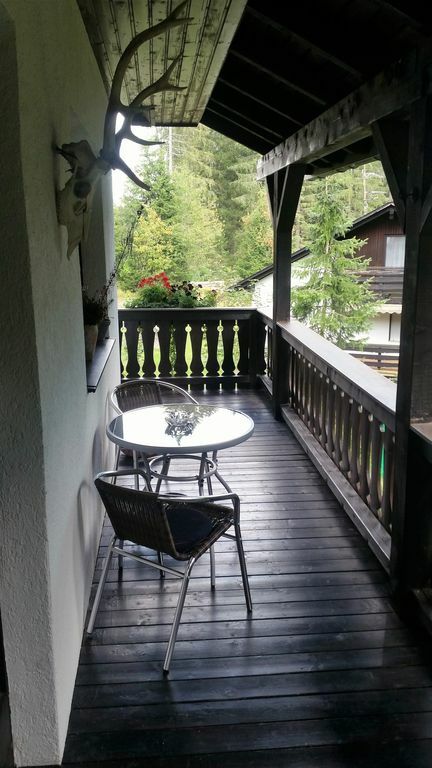 The house is set in a peaceful area, with a short drive to Lake Schluchsee. There are ample walks nearby and numerous activities to enjoy around the Lake. We visited during the Summer, but would love to return one day in the Winter. Steffen and family, thank you for our wonderful stay in your house! Most lovely family in the world. I was proud about your stay. All the best to London..
Nettes uriges Haus in ruhiger Lage mit allem was man braucht. Freundliche und aufmerksame Vermieter. Unkomplizierte Kommunikation. Empfang mit Schwarzwälder-Kirsch-Torte, Überraschung für die Kinder, Anfangsverpflegung (Frühstück und Getränke). Tolle Lage des Hauses, praktisch im Wald, gute Bewegungsfreiheit für die Kinder, Feuerstelle außen (Holz und Kohle in ausreichender Menge vorhanden. Ein ganz gemütlichem Haus, in der nähe vom Schluchsee, mit einer ruhiger Stimmung. Wir haben zum 9 tollen Ferien verbracht! Alles war Perfekt: bequemen Bette, viele Sitzplätze aufs Couch, Haus sauber...dort gibt es alles was nötig ist. Die Famille Lausmann ist einfach wirklich sympatisch! The house with garden is surrounded by nature, in the woods on a small, quiet village street near the Schluchsee. However, not off. Shopping and several supermarkets are approximately just 10 minutes away. By car to the Schluchsee shore is not 5 minutes; on foot (downhill!, House is low mountain-slope) for about 25 minutes. a boat rental for rowing boats, pedal boats and electric boats. Also a bike rental, a snack bar, a small restaurant and a kiosk can be found there. From the house about 500 meters downhill is a really good restaurant, which offers serious and good food at fair prices. The area is recommended for a holiday in really every season. The summers in the southwest are very pleasant, spring and autumn are popular with hikers, autumn also invites to mushroom picking. In winter snow is almost guaranteed. In winter, the surrounding area is the ideal place for winter fun and winter sports. Numerous slopes as well as cross-country trails for young and old are nearby; For example, small sledge and children's ski lifts are also located directly in Schluchsee! Also great for skiing is the not far away Feldberg! In summer the environment is fantastic !!!! No heat and thus pleasant temperatures due to the altitude. The Schluchsee gets quite warm in the summer and invites you to swim in a fantastic setting. But also in the garden belonging to the house, you can enjoy the summer days wonderful. In the garden of the house is a stable, large wooden table with 2 wooden benches, a round, movable table with chairs and sun loungers with cushions. Otherwise, a trip to Freiburg is always worth a trip ... this corner of Germany is considered the warmest ever! Overall, there is a very large and varied range of recreational activities and activities of all ages in the area! Hunde, max.2 kostenlos! Alle Kosten Strom, Wasser inclusive. ! !Bei PayPal Zahlung muss Netto-Betrag überwiesen werden. Die Gebühr, welche mir abgezogen wird, muss berechnet werden. Diese Gebühr zahlt folglich der Mieter. Kurtaxengebühr für alle Schwarzwald Urlauber obligatorisch und an mich zu überweisen. Endreinigung Kunde selbst oder 100 Euro Reinigungskosten. Haus muss sauber! geputzt, gereinigt übergeben werden. Vorsätzliche und fahrlässige Beschädigungen gehen zu Lasten des Gastes. Diese müssen umgehend offengelegt werden. Pro Tag 2,10 Euro Kurtaxe/Erwachsener. Kinder 0,90 Euro. Babys/Kleinkinder frei. Bezahlung Kurgebühr vorab an Vermieter per Paypal oder Überweisung. Bankdaten werden rechtzeitig übermittelt. Anreisezeitpunkt und Abreisezeitpunkt müssen vorab mit Vermieter abgesprochen werden, genaue Uhrzeit muss einvernehmlich festgelegt werden. Im July, August ist An und Abreisetag nur Samstags möglich! Ausnahmsweise flexibel ab 14 Nächten! Ab 14 Nächten 20 % Rabatt!!! Vermieter hält sich vor, Hilfspersonen zur Schlüsselübergabe/Abgabe einzusetzen oder diesen zu hinterlegen/hinterlegen zu lassen. Das bedeutet Übergabe/Abgabe erfolgt ohne Vermieter oder Hilfsperson.